Charmaine has felt a strong connection to horses as far back as she can remember. She can recall trail rides in the mountains with her mom and siblings, who also shared a love for horses, as early as 6 years old. Her very first memorable encounter was with a horse named Pepsi. From that day on, she had asked her family for a horse every Christmas and Birthday. Through her adolescent years, her life took a difficult turn. She was placed in foster homes after the divorce of her parents. In grade 7 she met a friend from school who had a family member who owned MP stables in Edmonton Alberta where she and her friend would go every day after school to ride their horses. During this time of traumatic period in her life, she attributes the magic of horses from her life going in a dark direction. As an adult, Charmaine recalled the magic the horses had in her adolescence when her own children were diagnosed with special needs at age 5. After much searching on how best to support her daughters, the call of the horses had become too strong to resist. It wasn’t long before her daughters were the proud owners of two ponies. These ponies were an amazing addition to her daughter’s other therapies. Over and over she witnessed the beautiful connection, magic and medicine the horses would have for her girls as they continued to flourish and progress. Horses have since been a permanent part of her and her families lives. Charmaine, her two daughters and young son reside on an acreage with their 5 horses. She is excited to share her herd and their amazing wisdom within her community and beyond. 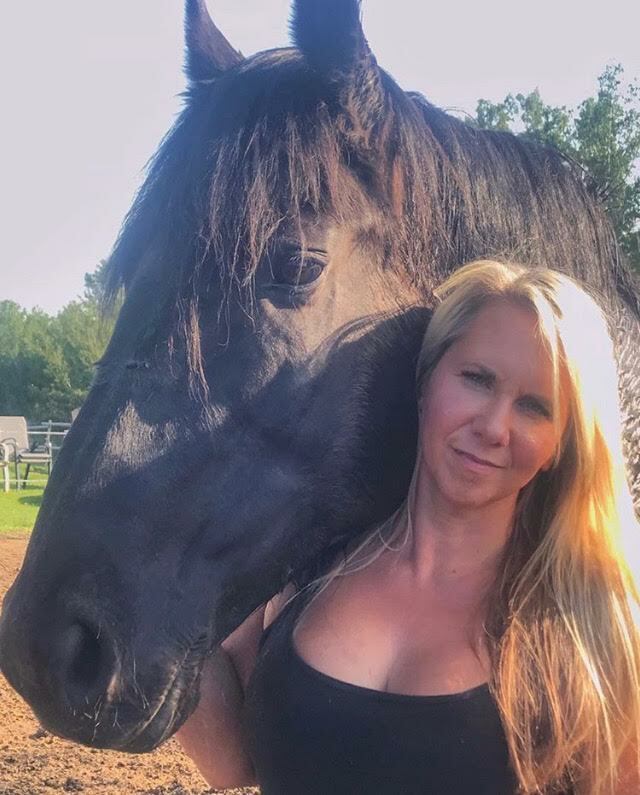 She integrates her Reiki training, as well as her experience as a certified Life Coach , Touch for Health level 4 certification, Mindfulness Practitioner training and NLP as well as, Trauma for teens and adults into her, FEEL work to bring together the powerful experience of the horse to help people heal and grow.